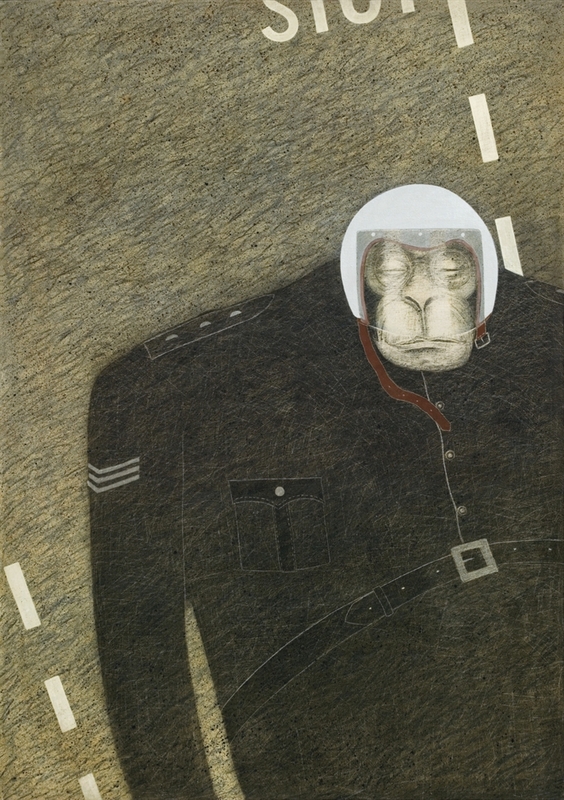 As a young painter in the 1970s, Rameshwar Broota's work forcefully expressed his anguish at the suffering he saw all around him and his indignation at society’s greed and corruption—notably through colorful and humorous depictions of anthropomorphized gorillas representing the “pillars of society”: police officers, military generals and the judiciary, depicted in compromising situations. 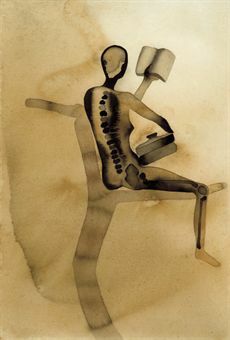 Broota's imagery shifted in the 1980s from his ironic “Gorilla Man” to the “Primordial Man,” symbolizing the universal substance of the human being. Since then, his work has continued to evolve, his more recent paintings dealing in crisp combinations of the abstract and figurative. Here the body reigns supreme, reduced to its parts, internal and external—nerves, protruding ribs, veins, a folded knee, a muscular torso—usually disrupted by geometric shapes. Broota studied at the College of Art, New Delhi, and graduated in 1964, serving there later as a faculty member. He has shown work in many international exhibitions, including the annual show at the Arts India Gallery in New York, and in the Havana, Tokyo and Bangladesh Biennials. In 1976 his work was featured at the International Art Fair biennial in Cagnes-sur-Mer, France. Along the way, his art has been exhibited at the National Gallery of Modern Art, in New Delhi; the Singapore Art Museum; the Lalit Kala Akademi, in New Delhi; the Museum of Modern Art, in Oxford; the Hirshhorn Museum, in Washington, D.C.; and the Darmstadt Museum, in Darmstadt, Germany. He received the National Award of the Lalit Kala Akademi in 1980, 1981, and 1984, and the Senior Fellowship of the Government of India in 1987 and 1988, among several other awards. In 1967, he assumed a position as head of theart department at Triveni Kala Sangam, in New Delhi, where he lives and works.